Your music is being streamed on all your devices with Apple Music and your favorite shows find a home at Netflix. 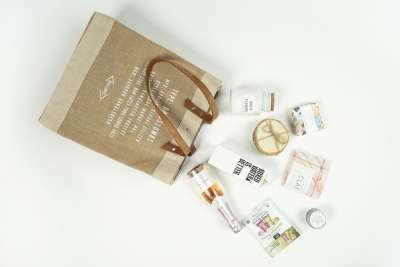 Your physical store can accept payments via your Shopify subscription and now you can even get your basics like underwear or healthy food delivered to you through services like Stance and Graze respectively. Subscription services are not just the future of e-commerce anymore. They are very much the present. 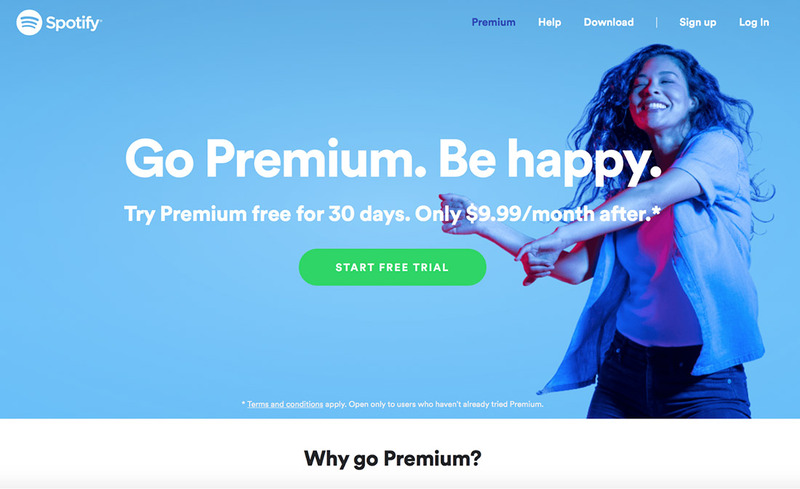 Subscription services are great for consumers as they get to experience much more content than they do with one-off purchases (think entire music libraries instead of a single album). They are also great for businesses because they ensure consistent revenues and easy implementation of updates (think cloud-based software). If your business uses the subscription model to drive revenue or you want to transition into subscriptions, your user experience has to be designed differently from, what I like to call, the “buy-and-bye” model (traditional retail). Your Subscribe button should be easily visible and distinct. You don’t just want to squeeze it amongst a bunch of other links or make it look like another one of the pop-up ads on your website. For a subscription service, this call-to-action is the single most important button. It’s a good idea to have the “Subscribe” button visible at all times or, at least, easily accessible from the header or footer. In UI terms, it should look non-intrusive (don’t make it neon or a blinking gif) but sufficiently distinct from everything around it. 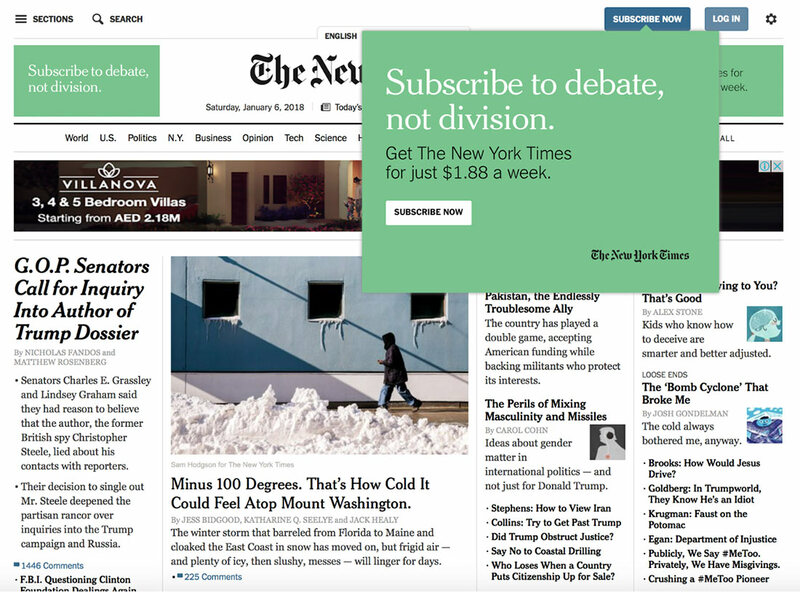 The New York Times has a clear “Subscribe Now” button that stays on top, both on desktop and in their app on mobile, even when you scroll. Upon hovering, the button pulls out into a pop-up box that gives more details. Any time you require more information or clicks than absolutely necessary, you’re probably hurting your conversion rate. Your subscription process should not take more than a couple of clicks. 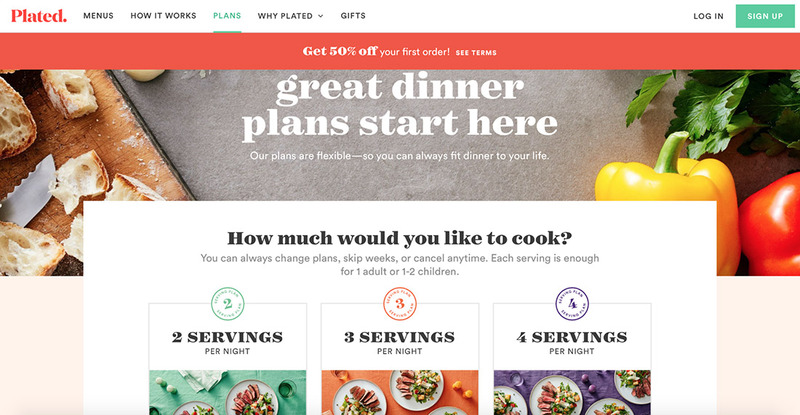 Even though food-delivery system, Plated, requires necessary additional information (like the number of nights you want to order for and your shipping address), it keeps the subscription page relatively simple by grouping everything under its most popular variants and providing neat little summaries underneath. Whatever the terms of your subscription are, you should show them upfront. Don’t hide pertinent information or applicable fees in long-winded literature or at the end of the subscription process. Your audience will not like having to go through an entire sign up process only to find a deal-breaking fact later on. Tinder does a nice job of making their offers clear. Next to the well-known swipe-left and swipe-right buttons are the buttons for letting you “rewind” (go back to profiles you’ve dismissed) or “boost” yourself (show up more in other users’ searches). 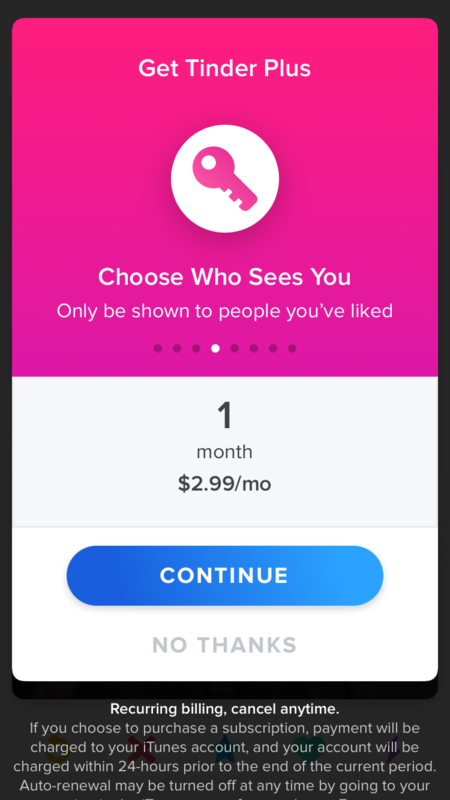 Both of these options bring up a pane that let you sign up to the premium version, Tinder Plus, and shows exactly what you would be getting. This also applies to your billing and receipt process. Make sure that your customer can understand the bill that they get at the end of the month and any and all items are clearly labeled and explained. You should always have at least 3 to 4 different subscription options. They could be in terms of period (monthly/yearly), content (everything/somethings) or pricing tiers based on type of customer (adults/students). It’s also good to have discounts for signing up longer-term or paying upfront. That incentivizes your customers to make a bigger commitment than they might otherwise. 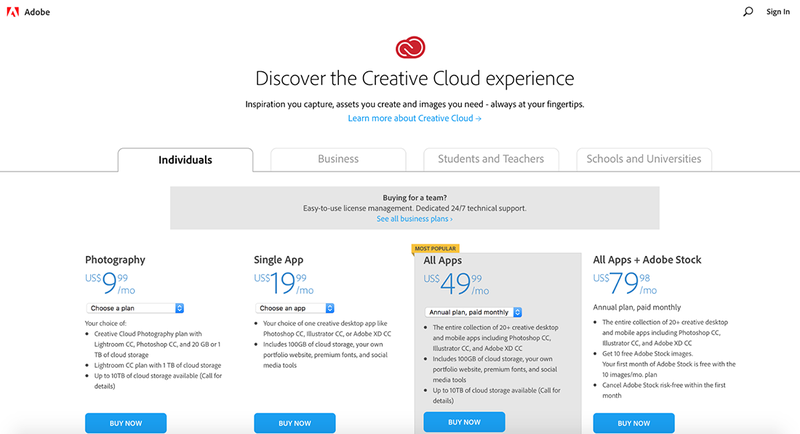 Adobe, a leader in subscription software, does a good job of providing a plethora of subscription options. You can choose between different tools (or the entire suite), and sign up as an individual professional, educator, student or institution (each of which comes at a different price). A great subscription experience cannot be designed without a great experience leading up to it. Your button may be perfectly placed and your processes simple and transparent but what makes your target audience interested in signing up? We live in a ‘try before you buy’ economy and that applies just as much to digital content. Trial periods are a great way to have your customers experience your service and lead them into signing up long term. 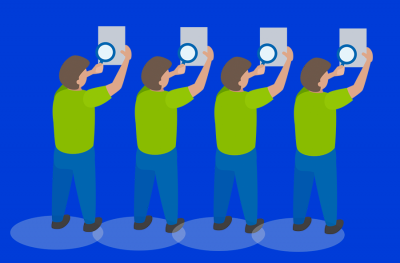 Many business owners fear that potential customers would jump ship as soon as the trial period is over but the truth is that you should have confidence in the value you are offering. Your actual customers will appreciate the service and keep paying for it. Those that jump ship would either have canceled a paid service (and generated negative word of mouth!) or were never going to pay up anyway. Spotify lets you listen to anything from their huge library for free for up to 30 days. Once you get used to listening to any music you want, wherever and whenever you want it and without ads, it’s hard to say no to paying a tiny amount every month for it! 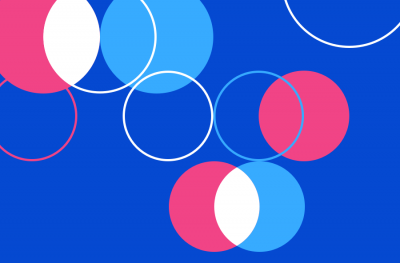 Designing a great subscription service does not end with getting your customers to sign up. Keep thinking about how you can improve your subscription service. Perhaps you can provide better ways to navigate the content you offer. Netflix provides curated recommendations to help its subscribers choose from the otherwise overwhelming thousands of available titles. Spotify similar curates different playlists that makes it easy to discover new music. You can also consider surprising subscribers with a small gift every now and then. 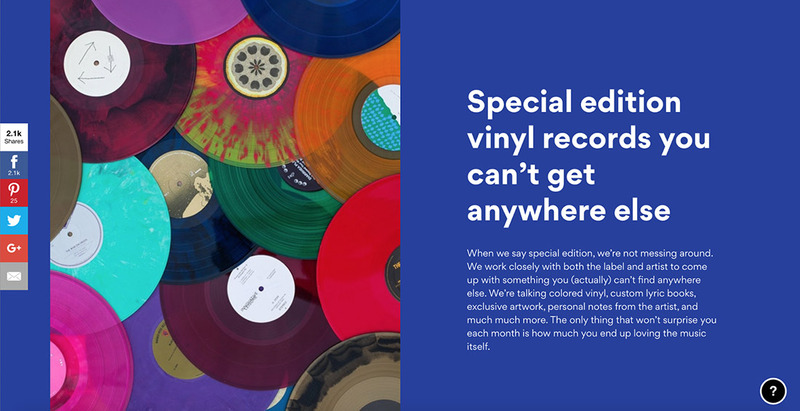 Vinyl Me, Please sends exclusive artwork and paired cocktail recipes with its custom records. It provides that extra bit of delightful user experience that keeps customers happy with their subscription. What are your favorite subscription services in term of the user experience? Share in the comments below.